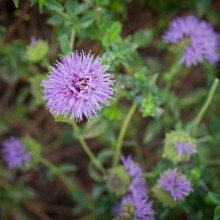 Credit.com. August 2, 2017 By Trae Bodge: Back in the spring, you were confident you would have an award-winning garden by now. You thought you planned and planted well, but as you enjoy a glass of rosé on the back porches of friends, you realize that your garden pales in comparison. Never fear, it’s not too late. Santa Monica Daily Press. July 26, 2017. 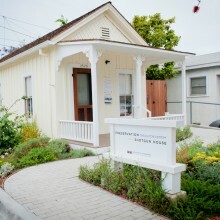 By Guest Author: The Santa Monica Conservancy‘s Preservation Resource Center received one of only two Preservation Awards presented by the Los Angeles Business Council (LABC).The ceremony honored the Conservancy for its role in saving and rehabilitating a late 1890s Shotgun House, which now serves as a LEED Gold certified educational center and a model for adaptive reuse for the community. The City of Santa Monica, Fonda-Bonardi and Hohman Architects, Historic Resources Group, Minardos Group and FormLA Landscaping were also recognized for the Shotgun House project. The Lookout. July 21, 2017. 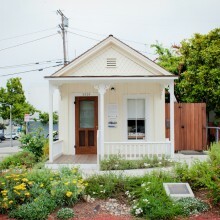 By Lookout Staff: A tiny “shotgun” house restored by the Santa Monica Conservancy continues to reap in some big awards, the latest coming from the Los Angeles Business Council (LABC).